Dr. Ernest Nkansah-Dwamena, seated, helps deliver the online program. Contributing staff members are Kathy Lang, standing at left, and Ashley Gouger. 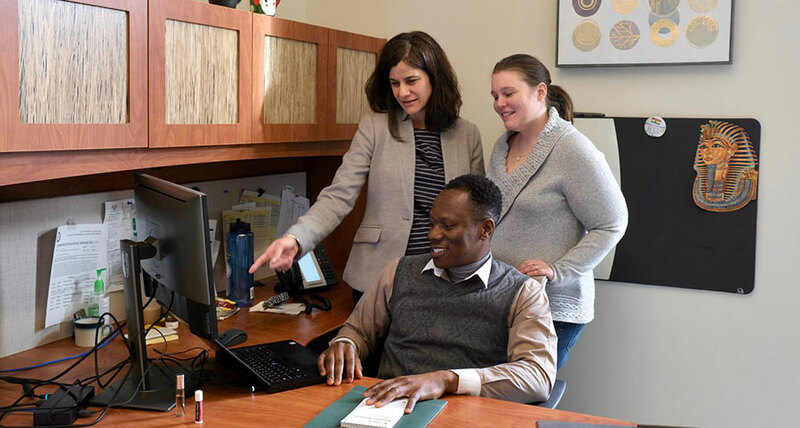 ESF is preparing to launch its first online bachelor's degree - a program in sustainability management that prepares students for entry-level jobs or mid-career opportunities in the growing field of sustainability.